With the election victory by Donald Trump and his running mate Mike Pence the media has discovered numerous pressing situations bordering on the brink of catastrophes. Suddenly Syria has become a conundrum of crushing confrontations waiting for the President elect while the current resident of the White House faced much lesser problems and addressing this would be asking a bit much. Oddly enough they also realized that Iraq is torn with ethnic strife as well as having much of its territory either occupied or threatened by the Islamic State. They also found that the Islamic State is operating as they please in Syria. Yemen is in the midst of a civil war and threatens a vital waterway at the south end of the Red Sea called the Bab-el-Mandeb. Saudi Arabia and Egypt have split with Egypt now aligning with Russia and Bashir al-Assad while Saudi Arabia continues to fight the Yemen Houthi rebels who are backed by Iran. The Saudis are also backing terrorist groups fighting Bashir al-Assad and some suspect they are knowingly funding and arming the Islamic State through alternate avenues. Turkey’s Erdogan appears to have suddenly gone rogue demanding immediate answers for Turkey’s admittance to the European Union (EU) one day and threatening to turn away any offer from the EU and consider joining the joint trading group organized by Russia and China called the Shanghai Cooperation Organization (SCO). There are warring tribal groups contending with terrorist groups and crime families all vying for control of their slice of what was Libya. The Sudan and South Sudan are still fighting and there is a civil war of sorts in South Sudan adding to the confusion. There are terrorists plaguing Nigeria and even Europe is being overrun. Their prognosis is that the election of Donald Trump has caused the nations of the Middle East and Northern Africa (MENA) to explode suddenly and fiercely into frenzied destruction and fighting breaking out everywhere. Additionally, Russia is protecting their ports in Syria, namely in Latakia, and thus also protecting Bashir al-Assad who is ever so slowly regaining control of Syria one costly meter at a time. Wait; Russia has use of a port in the Mediterranean Sea, this is big. Oh how simple things would have stayed had only the voters in the United States had chosen wisely and elected Hillary Clinton. The sudden awakening of the mainstream media to the problems throughout MENA states and beyond is almost amusing. Anyone reading news services from these effected regions have known and spoken with furrowed brows and stern hard faces often using terse terms describing ongoing events which continue to spin further and further out of control. Many have laid the problems at the feet of fecklessness in the foreign policies of the United States over the past decade emphasizing the retreat and resentment at being abandoned left to the scoundrels and other threats without any hope of rescue from those they had believed were their ally and eternal friend. As long as the United States did not have even a dog in the fight, and we mean literally not even a dog, let alone manpower or military forces, these traumatic conflagrations were unimportant as far as the media was concerned. The White House ignored these problems while making the one-off mention brushing aside concerns as if they were nothing more than a hiccup on the timeline of history as the White House was making it. The White House and especially President Obama and his Secretaries of State Hillary Clinton and John Kerry along with Samantha Powers and Susan Rice, the pair were Presidential Security Advisor and Ambassador to the United Nations and then switched positions a while after Benghazi, have all painted the Middle East as there being a situation in Syria and the Israeli-Palestinian problem and if only Israel would make nice and completely surrender to the Palestinians then miraculously Syria would become peaceful overnight as would any other disturbance anywhere in the world. It is as if the only actual disturbance in the force is Israel, so does that make Israel Yoda? 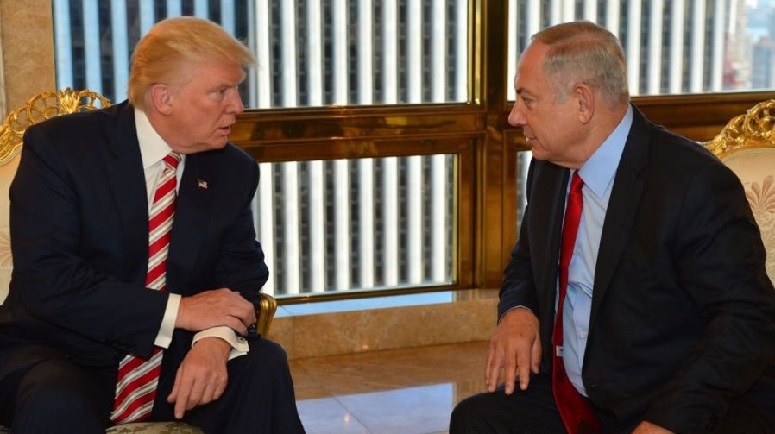 Seriously, the Obama White House position has been that Israel causes unrest throughout the Middle East and beyond and it is the Jews residing beyond the 1949 Armistice Lines on lands gained in a defensive war started by Egypt and Syria and joined on day two by Jordan despite pleading from Israel for their remaining neutral. This Jordanian attack led to Israel liberating Judea and Samaria from Jordan’s illegal occupation for nineteen years including half of Jerusalem. Had Syria and Egypt attacked any other nation in the world and had Jordan joined on the second day and, for example let us say they attacked Peru; if Peru in that war had gained the lands of Judea and Samaria, they would have been allowed to retain the lands and even push any non-Peruvians off the lands with minimal complaint from the world. The problem is they did not attack Peru but instead they attacked Israel. There is an effort initiated by the British when they saw that allowing the formation of the Jewish State was going to upset the Arabs they decided to do whatever they were able to prevent Israel from ever coming to fruition. 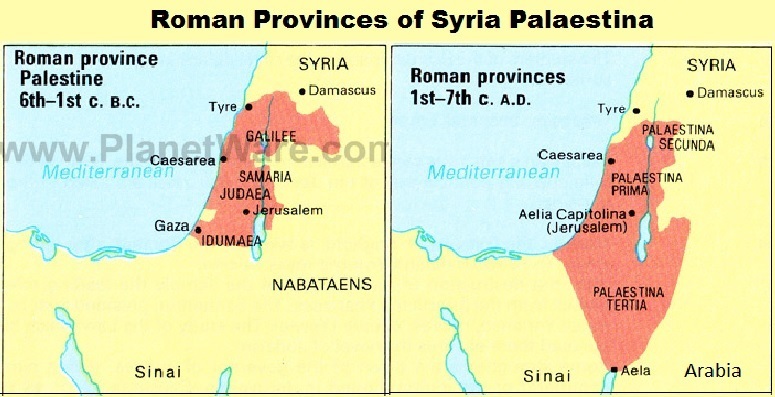 They could do this as they controlled the Mandate for the geographic area called Palestine, a name derived from the Roman name for the area of southern Syria, Syria Palaestina. The British after World War I continued to import Arabs to reside between the Jordan River and the Mediterranean Sea with ample assistance from the Arab League and surrounding Arab nations from as far as Algeria though largely from the Sudan, Egypt, Jordan, Syria, Saudi Arabia, Iraq and even Turkey. This kept the Jewish population below fifty-percent thus never quite fulfilling the requirement of being capable of ruling a nation. In the aftermath of World War II the British had lost their taste for empire and simply wanted to leave the Middle East and particularly the area which was to become Israel. Ever since the British leaving and Israel being founded there have been numerous studies which have shown how the Arab world has designs to be rid of the Jewish State and how often the European nations are supportive of the Arab efforts as though they would love for Israel to fail, they do not have the will to cause such in any manner other than indirectly. Do not misunderstand as the Europeans gladly enrich their lives with the discoveries and inventions from Israeli sources and even have utilized some such as instant messenger programs to support the BDS (Boycott, Divestment and Sanction Israel) Movement and other injurious acts. Denouncing Israel in the United Nations General Assembly and throughout the various agencies which often act in injurious ways such as when recently UNESCO (United Nations Educational, Scientific and Cultural Organization) ruled that the Temple Mount and surrounding areas have no historical ties to the Jews or Judaism which is a manner of denying the existence of the First and Second Temples and close to two-thousand years of Israelite and Jewish history. And UNESCO comes in a poor second when it comes to denunciations of Israel where the UNHRC (United Nations Human Rights Council) who have denounced Israel in virtually every meeting for the past five years. The General Assemble also has a poor record though there has recently been some small headway with Israel sponsoring resolutions which was passed by a vote of 129-30-8 to set up technical training, global entrepreneurship and sharing of technologic systems through assistance efforts where often Israel and other developed nations share technological advancements in areas such as agriculture and power generation assisting these developing nations making greater and stronger strides toward a bright future. Needless to point out that all these problems, wars, conflagrations and turmoil have existed for much of the past decade and is not a reaction where the world all but exploded because of the election of Donald Trump. We can also predict some of the big news stories and special editions where a story is expounded and enlarged all passed off as news. There will be all sorts of new findings about the rampant homelessness and how people are feeling helpless and cannot seem to find any assistance for their plight. The mentally challenged living on American city streets not receiving their medications and suffering because of the difficulty in receiving proper care will be another feature story, multi-part most likely running for a week or for four straight Sunday night prime time. Unemployment stories will be big initially and the people who are now not considered to be seeking work as their unemployment insurance ran out and they have been unemployed over one year thus are not part of the computations, well, the media will now use a newer and more accurate definition which they will mention softly and in passing once and then count people who have not held a job up to five years, maybe a decade. There will be heartbreaking stories of youths dropping out of school and the United States will have a drug problem once again. There will be heart-wrenching profiles of people being deported for being illegally in the country whether that be overstaying a student visa because you found a good job and who wants to return to the Ukraine about now. There will be stories about how families are on the verge of being broken up as one or any number of the family are here illegally. Many of these stories will be about people who are using the system to press their particular case and many will remain and become legal citizens within a decade, but while they are uncertain their stories play oh so well. Let us leave you with what you may find to be an unbelievably astounding fact; President Obama has deported more people than any previous President.